What Is This Church For? My Doctor of Ministry coursework requires me to read many books that I would not otherwise find the time to read. One such book, which is required reading for this semester, is a book full of the writings of Lesslie Newbigin. During the twentieth century, Newbigin was a giant in the field of missionary theology and he remains the touchstone for many of us as we think about the mission of the Church. 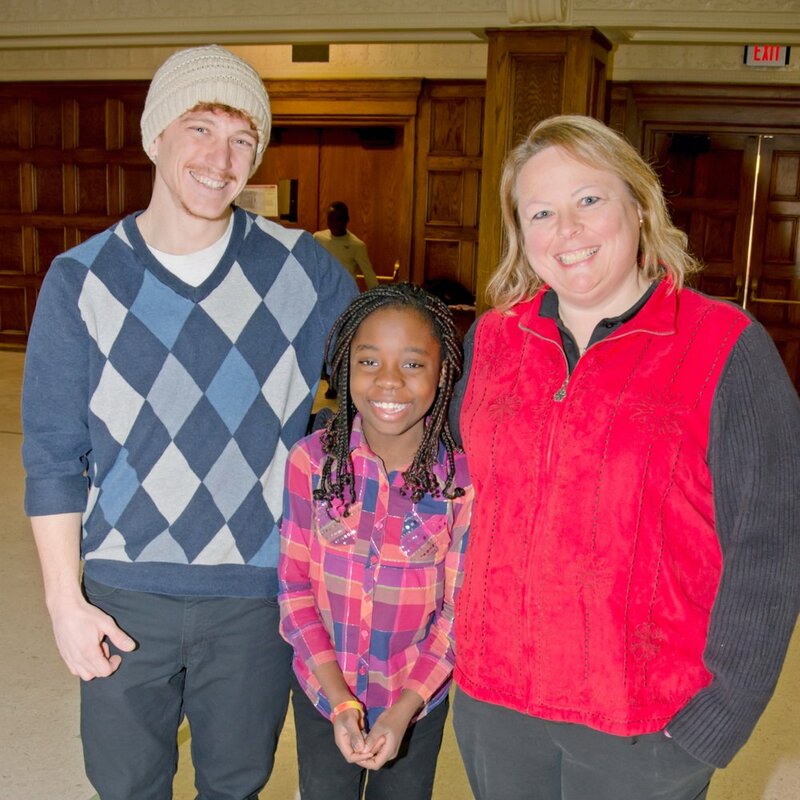 I saw that mission lived out in full force on February 4th as First Presbyterian Church partnered with the Multi-Cultural Center to host the Souper Bowl of Caring, in which we shared a warm meal and fellowship with the unhoused and hungry in Sioux Falls. It was bitterly cold that day with wind chills in the negative teens. But, First Presbyterian Church showed up! Fifty adult members and 23 of our teens showed up. Families came with their young children. Our youth made soup for 200, plus they made 850 rolls. The Good Samaritan Fund provided money to purchase more soup and all the paper products. Our elementary kids collected $720 through their Children’s Sunday offering. This money was used to buy cans of soup to be given away. Members also brought in cans of soup and together we donated 1,236 cans of soup. The women in the church baked 756 cookies. The Confirmation class went out and secured bread donations from two local bakeries – Breadico and Breadsmith. We served our guests hot chocolate with all the fixings, a warm cup of coffee, and bottled water. At the Multi-Cultural Center, a group of men from the Union Gospel Mission showed up to volunteer and help direct our guests through the serving lines, and they stayed to help clean up and take down tables. That afternoon we served about 150 people. We sent about 236 cans of soup with our guests plus loaves of bread and bags of cookies. One man took 20 loves of bread to share in the Day Room at the Union Gospel Mission. About 50 loaves of bread went to help feed the children in the After-School Program at the Multi-Cultural Center. Another 50 loaves of bread were taken to the Veteran’s Outreach Center along with 54 gallons of soup and several dozen cookies, all to help feed our homeless veterans. Nearly 1,000 cans of soup were donated to the Banquet, a local feeding ministry. First Presbyterian Church showed up! We were the visible face of Christ in our community. Many of you sat with our guests that day and listened to their stories, shared conversation and good fellowship. Our kids played catch with anyone who would toss around the Nerf footballs. We saw the visible face of Christ in each other. And it was glorious. “What is this church for?” You answer that question! On this journey with you! Pat is the Associate Pastor for Congregational Care at First Presbyterian Church of Sioux Falls. She can be reached at pathammond@fpcsiouxfalls.org.